Thursday, November 17th w/ Xris SMack! and DJ Tyranny NY. Metal heads, occultists, rock n roll lovers, and pagans unite! Invite your friends, invite your coven. 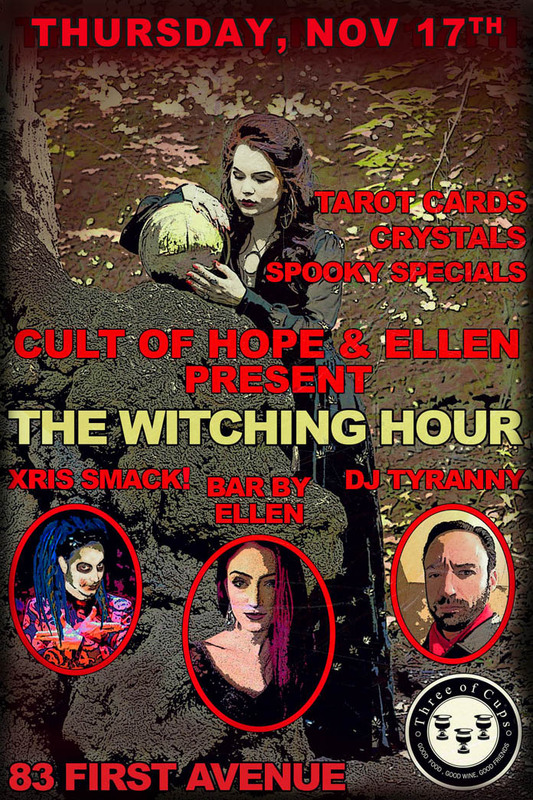 Brought to you by potion witch bartendress Ellen and divination enchantress Hope Diamond of Cult of Hope. We have raven hair and ruby lips...sparks might just fly from our fingertips. Flyer designed by Oscar Oscar. Photo by Roxana Puiu Photography. :Darkwave, Deathrock, DJ Tyranny, Goth, Gothic, Xris SMack!